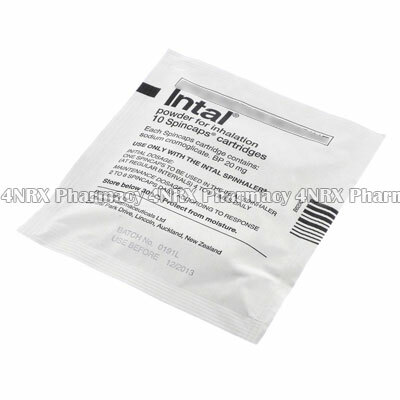 What is Intal (Sodium Cromoglycate) used for? 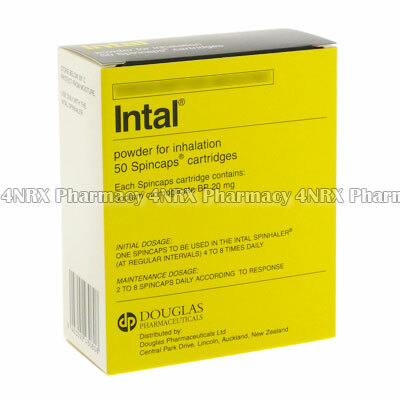 Intal (Sodium Cromoglycate) is an inhalable medication prescribed to treat and prevent allergies, asthma attacks, and to manage bronchial asthma. It is a mast cell stabilizer that comes in the form of capsules and operates by preventing the actions of certain enzymes in the body that cause swelling, pain, and irritation in the body. This can prevent a stuffy nose, sneezing, or itchiness of the eyes. Your doctor may also prescribe this medication for the treatment of other unlisted conditions. How should I use Intal (Sodium Cromoglycate)? Strictly follow your doctor`s instructions while using Intal (Sodium Cromoglycate) to get the most effective results from treatment. The normal dosage is one capsule administered daily, but your particular regimen will depend on the condition being treated, your current health, and the severity of your symptoms. To administer the medication insert one capsule into the inhaler, manipulate the device to open its contents, exhale deeply, place your lips firmly around the mouthpiece, and inhale deeply to draw the medicine into the lungs. You are recommended to hold your breath for fifteen seconds or as long as possible before exhaling to allow the medicine to be absorbed into the lungs. Ask your pharmacist or doctor any questions you have about the medicine to make sure you are using it correctly. What are the side effects of Intal (Sodium Cromoglycate)? Immediately contact your doctor if you experience any intense or worrying symptoms such as a severe headache, flu symptoms, severe cough, choking sensations, or severe inflammation. These conditions may require reduced dosages, application frequency, or emergency medical attention in serious cases to prevent further complications from occurring. Intal (Sodium Cromoglycate) should not be administered to patients who are allergic to its ingredients or who have had a bad reaction to similar treatments in the past. You are also suggested to have a health check performed by your doctor before using the medication to make sure you do not have any health conditions that may cause unexpected health complications during treatment. Strictly use Intal (Sodium Cromoglycate) as prescribed and follow all instructions provided by your doctor. Safe, suitable, and optimum dosage can vary and is dependent on the patient`s health and medical history, as well as the condition you are treating. Intal (Sodium Cromoglycate) may not be safe or suitable for all patients. Always ensure your doctor is informed if you are pregnant or breastfeeding, using any other type of medication (including non-prescription medicine, vitamins, and supplements), as well as if you have any allergies, other illnesses, or pre-existing medication conditions.